IFTTT is convenient app that lets you automate simple to complex tasks. So, why not let it help you find and track the apps or games you want? Here’s how to make your app shopping easy with IFTTT Applets for the App Store. A trio of dedicated task-automation apps for the iPhone released on the App Store back in February by the IFTTT (If This Than That) service are available on the Apple Watch as of today. The refreshed Do Button, Do Note and Do Camera apps now feature compatibility with the Apple wearable, empowering users with the ability to assign complex actions to the virtual button on the Watch’s tiny screen, including actions that tie into third-party services that have not yet rolled out first-party support for the Apple Watch. 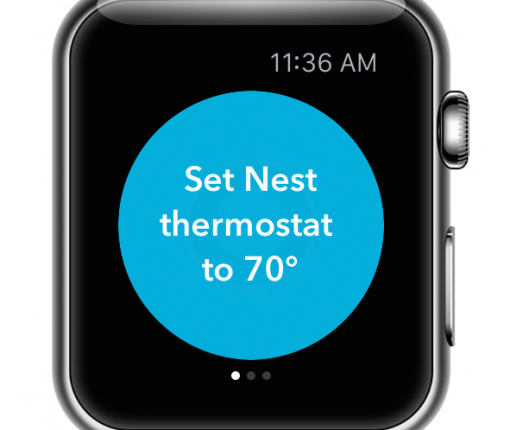 In addition to Apple Watch support, these apps have also gained native iPad interface in today’s update while adding the following new channels: Scout Alarm, ecobee, iSmart Alarm, Zubie, Mojio, Moni.ai, Nimbus Note, Harvest, WallyHome, HomeSeer, ThermoStat and Wireless Tag. IFTTT (an abbreviation of If This Than That), a popular Internet mashup service, announced in a blog post Thursday that its flagship mobile app shall be known henceforth as just “IF by IFTTT”. Available free in the App Store, it features an updated icon and a revamped new look. In addition to it, the company has announced a trio of task focused ‘Do’ apps: Do Button, Do Camera and Do Note, each available free in the App Store. With these dedicated apps, and more to come in the future, users can create specific on-demand workflows and tie them to buttons for quick one-tap access. Growing up as a child, anytime my family would venture out of town for more than a couple days, my father would run around the house trying to locate “the timers.” The timers, with which anyone is familiar, were the timer switches for the lamps in the house. They were old brown boxes with a beige turn wheel and a little switch, think I/O, for each of 24 hours. After manually selecting each switch to either turn on or off the receptacle, off you go for vacation. Now your lights magically turn on while you are away. Even in the late ’80’s, I remember those timers looking dated, even acting dated. But, they worked and continue to be the same technology most people use today. Thankfully, Belkin is putting a stop to this archaic fumbling system with a modern appeal. 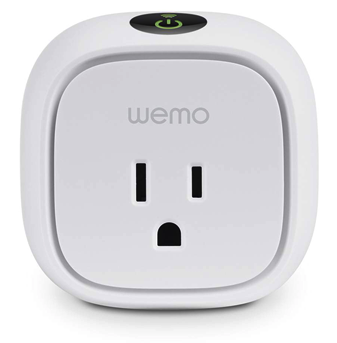 The WeMo line of home automated devices gives you the power, literally, in a carefully crafted app and hardware unit. Like any given Monday, Apple’s App Store editors today highlighted iPhone and iPad applications aimed at increasing your productivity by helping you get organized and keep pace with your busy life. In this week’s edition of Productivity Monday, the App Store team is sharpening its focus on apps which help make the most out of iOS by automating the things that don’t need your expertise, so you can spend your time wisely. Here’s a quick rundown of each featured app. IFTTT (If This Then That) is a powerful web automation services that lets you create complex rules called recipes to automatically perform actions when certain values change or criteria are met. For instance, I use an IFTTT recipe which automatically changes my profile pic on Twitter and other social networks whenever my Facebook profile image changes. Used it wisely and IFTTT can save you from repetitive task. And beacuse I’m not an animal, I’ve grown to like IFTTT a lot and depend on it. In its latest version 2.0 update that surfaced on the App Store earlier today, IFTTT now plays nice with iPads while introducing new triggers and Recipe collections, including the tremendously useful iOS Notification Center one! The increasingly popular iPhone automation app, IFTT, (stands for IF This Then That) has received a notable little update today which enables iOS Location Recipes, allowing you to build recipes that trigger various actions based on your device’s GPS location. The new iOS Location channel was created to allow apps and websites to use information from cellular, Wi-Fi and GPS networks, in addition to iBeacons, to determine your approximate location. This opens up some interesting and really useful possibilities. For instance, you could program IFTTT to turn off lights when you get home, via the built-in support for the Philips Hue smart light bulb. Or, why not automate social announcements when you’re at a not-to-be-missed party? And how about simply notifying your family about your whereabouts as you move about the day? 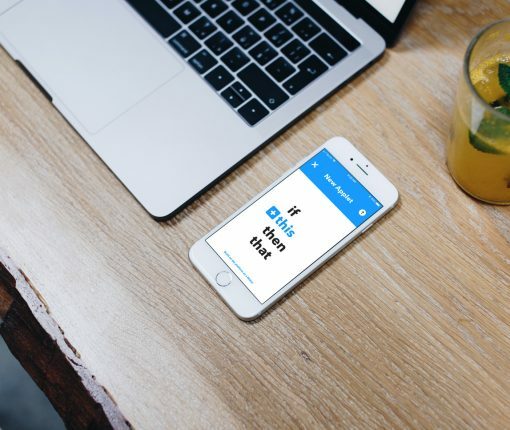 If you’re not familiar with IFTTT (an acronym for ‘IF This Then That’), this tremendously powerful app permits you to create time-saving service meshups to automate common tasks. For example, you could tell IFTTT to update your all social media profile photos when your Facebook profile pic changes. Or, you can even create a Recipe to receive SMS notifications when iDownloadBlog publishes an article, for example. We have some pretty diehard fans. Quite a few of our readers boast about not being able to go to work until reading our news and jailbreak articles. Some have even mentioned adding our RSS feed to their SMS notification through IFTTT. 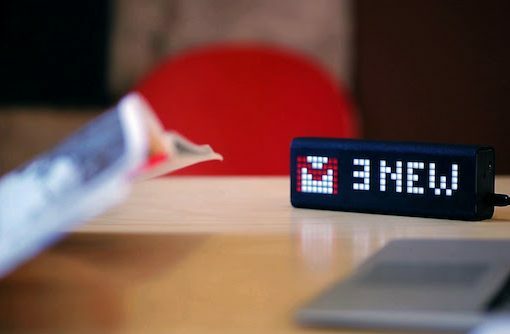 IFTTT has been around for a while now—since 2010. The acronym stands for ‘If This Then That,’ which does a great job of summarizing what it does: allows users to create automation Recipes for various services using a Trigger (this) and an Action (that). Instagram’s exploding popularity is having long-time iPhoneography buffs pay notice and watch in horror as mainstream users cannot get enough of its filters and max 1080 pixel wide resolution. And with Facebook and Android now in the picture, no wonder some early adopters go to the extremes of closing their account while others, like Apple’s marketing honcho, stopped using Instagram for it “jumped the shark”. To the most ardent fans, the last straw was Instagram’s confusing handling of the recent terms of service changes – even if it was much ado about nothing. If you’ve been seriously contemplating importing your Instagram photos over to Flickr but were put off by the tedious manual uploads – worry not, turns out there are a few ways to get that job done without too much fuss. iDB has you covered with this quick guide to bringing in all your Instagram photos to Flickr with just a few clicks.